You may click on the graphics to see an enlarged view. These are examples only. Each piece is a work of art in its own and will be unique. Prices range from $125-600. 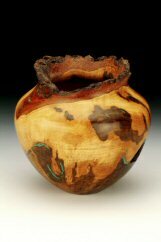 Please contact Jerry for pictures of similar pieces available. 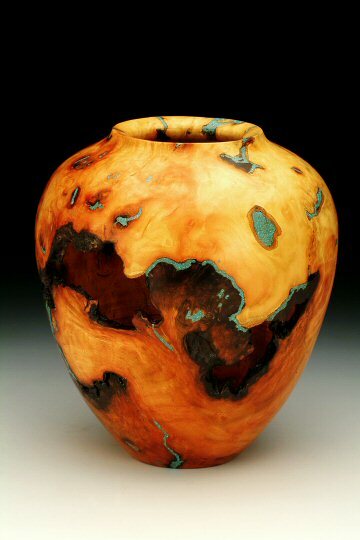 Sycamore Burl, 10" x 8" with turquoise inlay, finished with oil and wax. 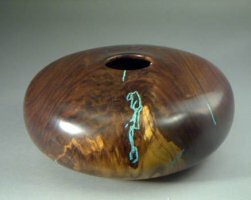 Maple Turning 7"HX8"W turquoise inlay finished with oil and wax. Contact Jerry for similar pieces. 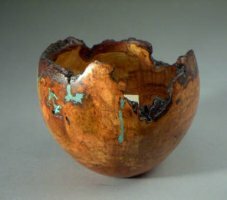 Cherry Burl 5"HX6"W, turquoise inlay, finished with oil and wax. 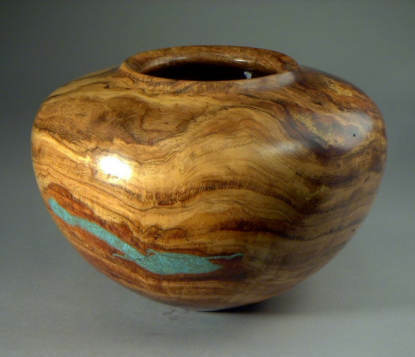 Box elder that is 12" x 10" with turquoise inlay, finished with oil and wax. 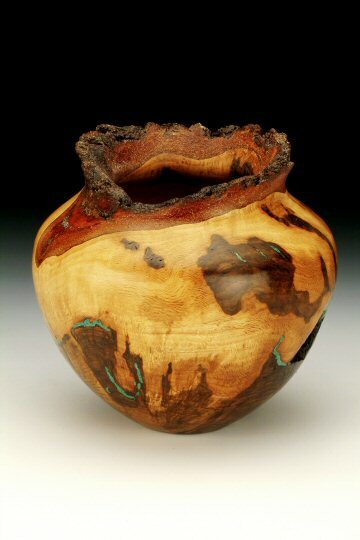 This is a Hickory Burl that measures 8x8. 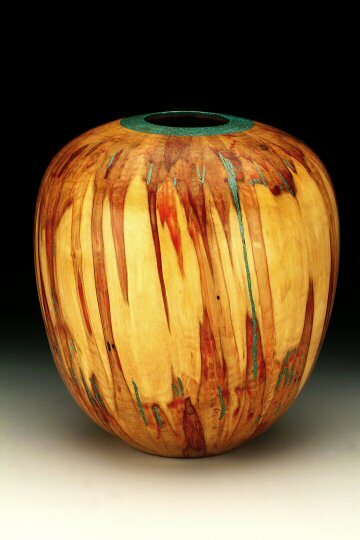 It has malachite inlay and the oil and wax finish. 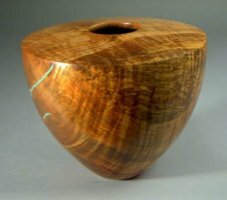 © Copyright 2005 Unique Turnings. All rights reserved.